This will have a great deal of information geared both to the Provider and also a bit geared toward the Instructor. Divers Altert Network (DAN) is a Dive safety and research agency headquatered in North Carolina on the Duke University Campus. A great deal of research is conducted at Duke in conjunction with DAN`s mission. Follow along with the series and let me know if you have learned anything or think there are other points that could be helpful. Vol 8. - Continuing Education for EVERYONE! DAN offers dive insurance to cover you for most any incident while you are scuba diving or traveling. Most technical divers will tell you that what you learned about scuba diving being as safe as bowling back in your Open Water course is pretty bogus. Nobody dies at the bowling alley because they rolled the ball too fast. ;) What most people don`t know is that their personal health insurance plans in 80% of all cases do NOT cover any injury sustained in scuba diving. When I was in the real world with a real job and benifits my insurance covered diving. Mostly because I worked in public accounting and nobody thought that we would be the daredevil risk takers so the insurance company forgot to exclude it. When I spoke with them they said, "yes sir, you are correct, your policy does cover scuba diving injuries - but if you get injured I`m sure that oversight will be corrected when we rewrite the policy next year since it will call it to our attention." DAN Dive Insurance comes in 3 levels. The basic plan for those who think they are bullet-proof but realize they might still get run over by a boat. The Master plan for those who know that a table 6a recompression run can cost into the low 6 figures (excluding the numbers to the right of the decimal). And finally the Preferred plan for those who believe that they required solid platinum protection to pay for their decompression sins on a regular basis. I`m told I`m a very sarcastic person so I`m sure you can figure out which plan I carry based on the above descriptions. DAN membership comes with several benefits to include a 24 hour hotline in case of a dive accident, a help desk where you can pose a question and get answers about health, safety and how they relate to scuba diving, and a physician referral network to direct you to the most appropriate care in case of a DCS incident. As a safety net the DAN Dive Insurance is pretty cheap. I pay less than $90 a year for my Insurance and membership and though I`ve never used my medical benefits I know that I won`t be sitting on the steps of a medical facility with bubbles growing under my skin becoming a human bowl of rice crispies because I`m without the proper medical insurance. For physicians DAN hosts training seminars regarding DCS and chamber operations at least once a year. This professional conference helps physicians keep track of the latest advances in Hyperbaric Medicine so that we can all have the best care with the greatest chance of recovery should be take a DCS hit. Remember, as a population divers are getting older. 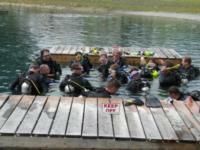 An "elder" diver is essentially anyone over the age of 40 who goes diving. This activity is fun but if you push the limits you are on the extreme edge of this sport and the older you get the slower your body responds. 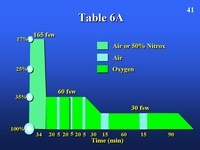 Advances in diving like Enriched Air Nitrox (EANx) and Recreational Trimix (RTMx) are helping divers explore more within Recreational limits of 130 Feet of depth while extending the no-decompression limits and reducing the possiblity of Nitrogen Narcosis. However, as we spend more time in the water weaknesses in our bodies can be brought to the forefront and take their toll. To avoid potential problems all divers should be vaccinated against Hep A and Hep B. We are talking about 5 shots total over 6 months and really, if you are an avid diver you will certainly find yourself in some crappy water at some point. Make sure you keep up with your Tetnus shots. Fish hooks get rusty in the ocean and I promise they hurt enough if your vaccinations are up to date. Check with the CDC to find out if any other vaccinations are recommended for the area you are traveling to. Get an annual physical and let the doctor know that you are a diver. If your doctor is not knowledgable about Hyperbaric/Dive Medicine, find someone who is. Don`t forget your ears. Ears are the key to going up and down. If your ears are screwed up you are not going anywhere. If you dive in water that is questionable you should always make sure to clean your ears after EACH dive. After my second double ear infection in 2 months one of my doctors slapped me in the back of the head and wrote it down for me since she said she was sure I couldn`t hear what she was saying. Liberally rince your ears with a 50/50 mix of rubbing alcohol and white vinegar. Yes, I know you will smell like a salt and vinegar chip bag when you are done. No, the golden wine vinegar is not the same thing. 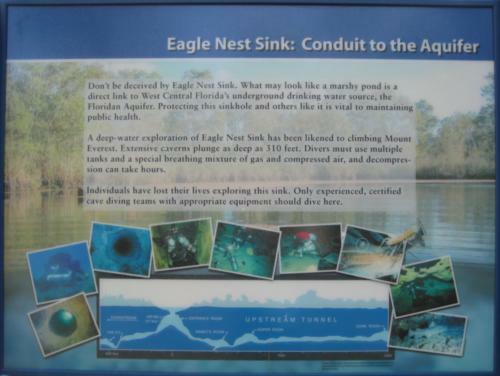 This is especially important if you dive in quarries or other bodies of water with restricted flow circulation. Adults are also finding that PFO`s and diving don`t mix. If you have one you may not even know about it until you push the limits of your computer and the microbubbles start flowing through it in your heart. 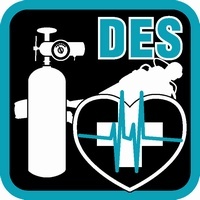 If you have a medical condition make sure your dive buddy knows about it. I`ve had a dive partner for a day who had asthma. She let me know about it and told me where her inhaler was in case she were to have an attack. I`ve also had a dive buddy for a day who was diabetic. Medical conditions don`t automatically exclude people from diving anymore so be aware of your buddy. In the end, remember that insurance is your last defense. Physical fitness is key to any activity that involves exertion of some physical type. Prevention is the best defense against any diving ill. Don`t push your limits and don`t be afraid to spend a few extra minutes at that safety stop / last decompression stop. Make sure your boat and crew are equipped and trained for medical emergencies. Certifications are just steps on the path. You should never stop learning or striving for more knowledge. If you have any questions on anthing covered here feel free to ask Mr. Davis. After he slaps you on the back of the head for taking me seriously feel free to ask me. If you want a professional response feel free to become a DAN Member and ask the people who staff their informational help line or e-mail service.